We had a G-Scan Car Diagnostic Tool(The best selling scan tool in Japan and original OEM for Hyundai and Kia motors), used to troubleshoot engine system of OBD compliant vehicles. 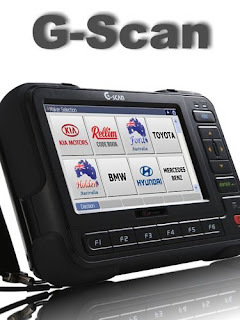 G-Scan was first launched in Japan in 2008 after Japanese company INS and Korean Corporation GIT joined forces; this collaboration brought together the market leaders in OEM quality data for Japanese and Korean vehicles, which includes the most comprehensive coverage of Japanese 'Grey' imports. G-Scan also includes comprehensive and rapidly expanding data for some popular European vehicles.